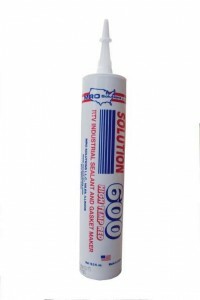 SOLUTION 450 RTV silicone sealant is a one-part acetoxy cure sealant that cures in the presence of atmospheric moisture to produce a durable and flexible RTV silicone rubber. SOLUTION 450 RTV sealant is intended for a variety of applications including general-purpose construction and industrial applications. Due to its excellent adhesion characteristics, SOLUTION 450 can be used for sealing and adhering glass, most types of wood, clean metal, ceramic, natural and synthetic fiber and many painted and plastic surfaces in a variety of applications in industrial manufacturing and assembly. Sealing of door and window framing, and other building components. Fabricating formed-in-place gaskets for gear boxes, compressors & pumps. Sealing trailers, truck cabs & RV's. Sealing marine cabins & windows. Sealing and caulking joints in sheet-metal stacks, duct-work & equipment housings. 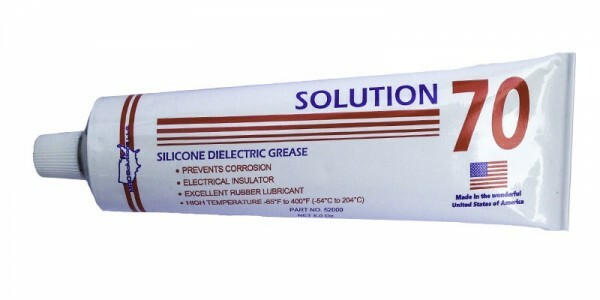 SOLUTION 600 HIGH TEMPERATURE RTV silicone sealant is a one-part acetoxy cure sealant that cures in the presence of atmospheric moisture to produce a durable and flexible RTV silicone rubber. SOLUTION 600 provides a long-lasting flexible seal and excellent adhesion to most surfaces. SOLUTION 600 is intended for a variety of general-purpose and industrial applications and retains its elastomeric properties at temperatures up to 600ÂºF intermittent to 650ÂºF. FDA-USDA approved. Meets and exceeds Federal specification TT-S-0230C and TT-S-001543A (Com-NBS), ASTM C 920 Type S, MIL-A46106A Type 1.